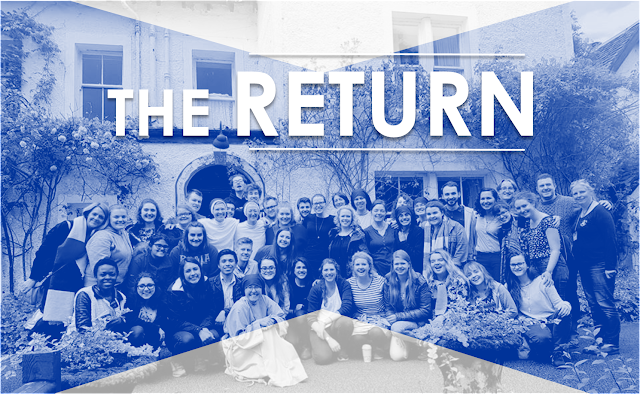 Last weekend I was blessed enough to attend Youth 2000’s retreat, ‘The Return’, at Craig Lodge in Dalmally. 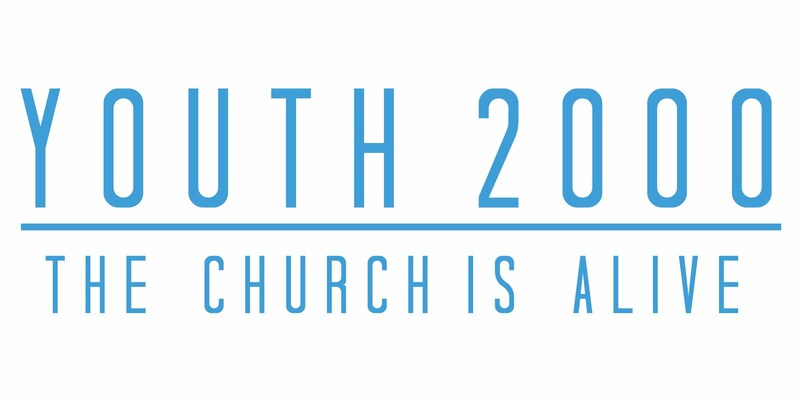 Not only was it my first Youth 2000 event, it was also the first time in over 15 years that Youth 2000 had held one of their retreats in Scotland. However, as amazing as that was, at the start of the weekend I felt a bit out of place. 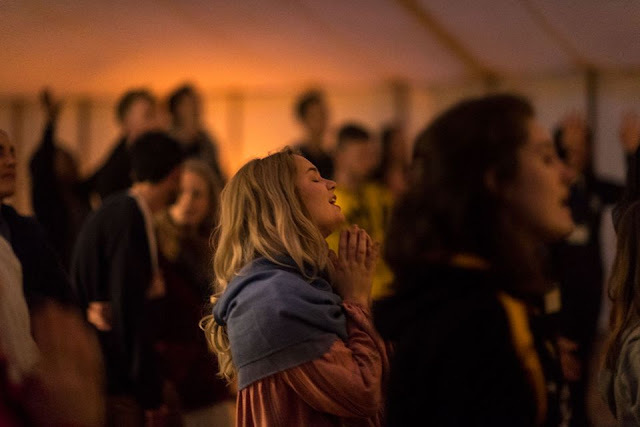 There were so many more people there than there had been at previous retreats I’d attended and I just felt a bit unsure about myself. It’s safe to say that that all changed pretty quickly. The retreat was themed around the story of the Prodigal Son (Luke 15) but rather than focusing on the son, it focused on the father and it really allowed me to see my relationship with God in a different light. Although the son had wasted all of the money his father had given him and felt like he’d totally disgraced him, when he returned home his father was completely overwhelmed with nothing but joy and compassion – ‘For this my son was dead, and is alive again; he was lost, and is found.’ (Luke 15:24). The same can be said for our relationships with God; no matter what we do or where we wander, He will always be delighted to have us as His children. Nothing we could ever do will stop the Lord from loving us or wanting us to live our lives with Him. It’s as simple as that. The entirety of the weekend was centred on this idea and I very quickly found my feet and began to thoroughly enjoy myself. Our first talk ‘Who do you say that I am?’ really allowed me to consider both who I say that God is and who He says that I am, rather than who I say that I am. This is such an important part of our faith and I’m learning to appreciate more and more that God’s plan for me is far greater than anything that I could dream up for myself. 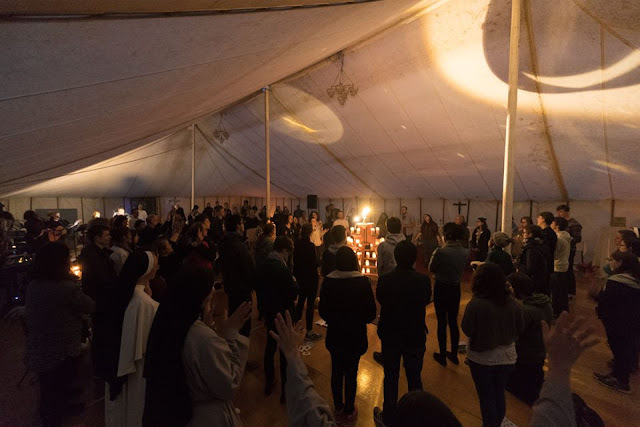 The other three talks focused on prayer, confession and our call to holiness, all of which I was really able to connect with, especially as someone who has overcome personal struggles in these areas. It’s a pretty nice feeling when we realise that we aren’t alone in our faith journeys and that many of us will be able to help others face battles that we’ve already won. On the Saturday evening we had a reconciliation and healing service, which was one of the most beautiful things I’ve ever been a part of. What made it even more special was the fact that it was held on the Vigil of Pentecost and it’s safe to say that the Holy Spirit was well and truly with us during the evening! As soon as the priest came to me with the Blessed Sacrament and I prayed while holding his stole, I felt as if a physical weight had been lifted off of my shoulders – it was a very emotional time for me. All of my worries were gone and I was able to praise and worship the Lord without any self-consciousness for the first time… well… ever, really. It was such a liberating and freeing night and one I’m so thankful that I got to experience. The retreat really allowed me to take a step back and look at my relationship with God from a fresh angle. 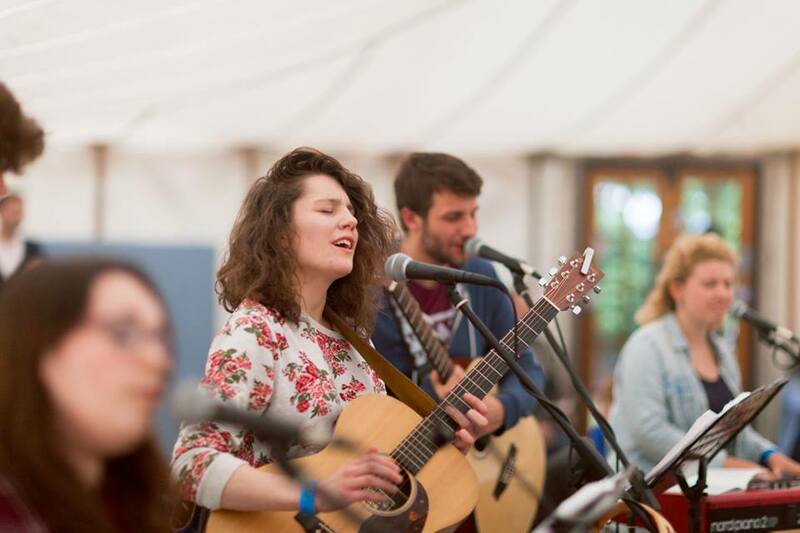 The sheer joy I felt while being encompassed by His love and grace is something I’ll never be able to fully explain and I’m so glad I got to share the weekend with so many other wonderful Catholics from all over the UK (and Europe!). I built on existing friendships, made new ones and truly felt like I belonged. There with my Father, Mother and all of my brothers and sisters, I felt completely at home. I really did. I’m so glad that I was able to be part of such a holy and joyful celebration of the birth of the Church. The weekend was like nothing I’ve ever experienced before and although the end of retreats usually leave me with a bit of a ‘spiritual low’, this time I haven’t felt that as much and I know that that’s because the Holy Spirit completely filled my heart and soul during the two days. I also now fully realise that no matter what happens in my life, the Lord will always be there to work through it with me and that if I ever do wonder away from Him, He will be waiting with open arms to bring me back home.